I was travelling quite a bit this week with some in house assessments at an activity centre near Swindon and then over to Lincolnshire for some more assessments. It was then straight back home to take staff from a private school in London out for a couple of days in service training. Even though the weather forecast was poor we stayed dry for both days. We made an ascent of Moel Hebog (782m) via Moel Lefn (638m) and Moel yr Ogof (655m) on Thursday and then a micro navigation and steep ground ropework day on Friday. The week ended with me taking part in an Association of Mountaineering Instructors workshop at Plas y Brenin to look at the coming AMI Trainee Workshops for 2014. 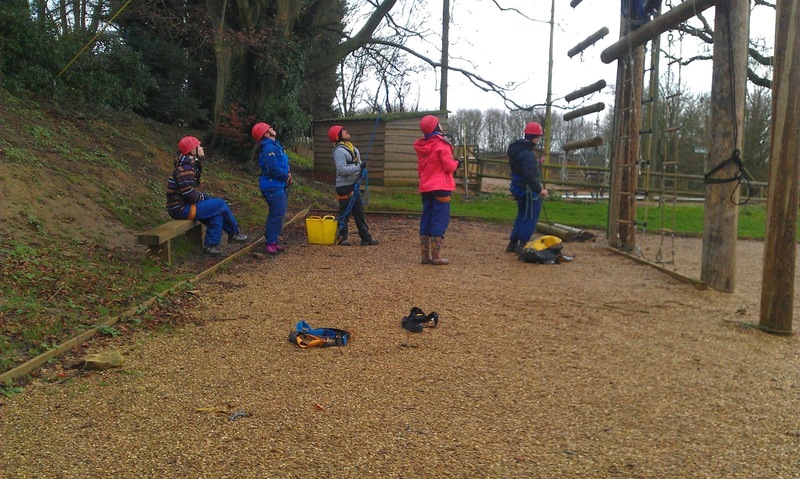 This consisted of a practical aspect of scrambling ropework as well as admin for this year and dealing with any issues from last year. On route to Moel Lefn. The summit of Moel Hebog. I had a couple of days work out on the hills with staff from a private school from down South. We tried to avoid the bad weather and very strong winds on the first day by heading to the NE of the Carneddau. This plan partially worked as it stayed clear and dry but we were battered by 70 mph winds on the summit of Drum (770m). The next day, with an improving forecast, we made a very wintry ascent of Pen yr Ole Wen (978m) and Carnedd Dafydd (1044m).